When choosing the marble for your next project, there are several points to consider. While the basic color may be a top concern initially, consider the pricing, available sizes, and potential uses. Some marble options look very similar to others, so you may find that one style will suit your needs almost as well as another, and can even save you money in the process. One clear example is the difference between Bianco Dolomiti and Crema Marfil marble. 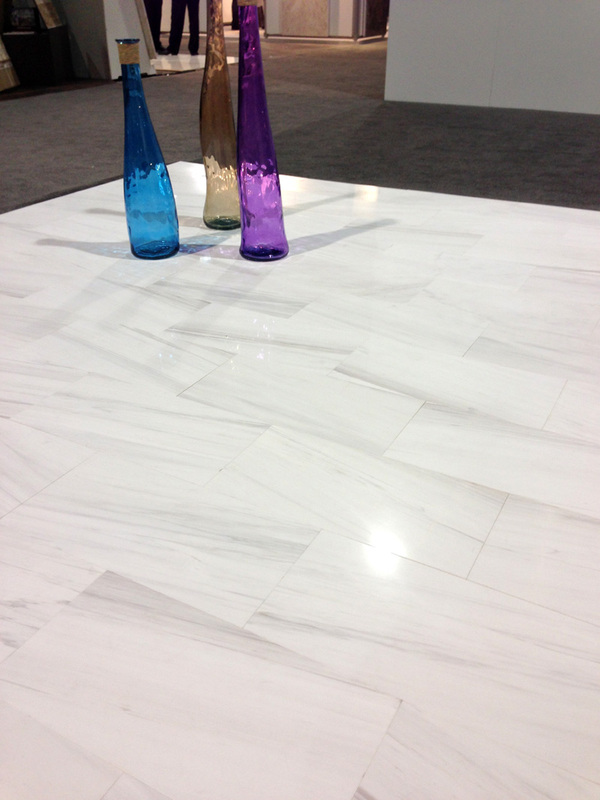 Both marbles have a white tone to them that will work with any décor. While the Bianco is a more brilliant shade, the Crema Marfil is more subdued with hints of ivory throughout the stone. Some may be more willing to pay the extra fee for Bianco Dolomiti to achieve a more modern finish that will help the rest of the décor stand out even more. The Crema Marfil marble is ideal for more casual themes. The soft colors can create the perfect backdrop for furnishings and accent pieces. If you are not too concerned about the exact underlying tones, then you can easily go with either stone. The biggest difference between the two stones may lie in the availability of each style. Crema Marfil is readily available and designers around the world choose it for its versatility and attractive finish. Bianco Dolomiti is also highly sought after; yet, its availability is more limited. It’s considered one of the most exclusive stones on the market and is used in high-end applications by people who want the delicate grey veining and the sophisticated look. Consequently, this raises the price substantially, so you can expect to pay substantially more for Bianco Dolomiti tiles. Whether you’re willing to pay the difference is a very personal decision, but you can take confidence in knowing that you will love how the finished product looks. People are willing to pay extra money for marble because it’s a timeless material that will last for generations. Before you decide to save the money with Crema Marfil, be sure that it will provide you with the look that you want. The more affordable Crema Marfil marble will look amazing in many applications, but it does not quite have the glow and warmth of Bianco. If you believe that the Bianco Dolomiti will take your project to the next level and make it stand out more, then it’s easy to justify spending the extra money. One way to be sure is to order a few tiles of each type and lay them out in the workspace. You want the finished results to look amazing, and this simple step can help you choose the perfect look for your home or renovation project. Whether installing new flooring or updating the shower, it’s likely that you’ll never have to replace the materials again, resulting in saving a good deal of money. If you are on a restricted budget and not about a particular shade, then Crema Marfil may be the right choice for your project. The consistent shading and white tones will work with all types of decorating styles from traditional to contemporary. It can be used as flooring, shower walls, and accent areas. The high background consistency makes it an excellent choice for any space where you want a subdued finish that won’t take the attention away from the rest of your décor. Regardless of the selection, your space will be adored with marble that’s durable and attractive. 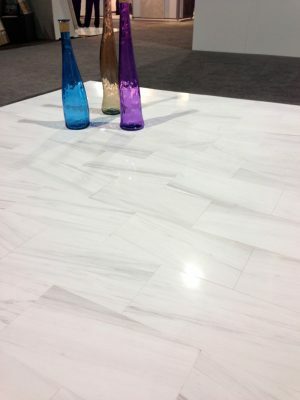 It can easily become the last flooring you install in your home; and a bathroom featuring marble will never have to be updated unless, it by design preference. Either one of these two products is an excellent choice for outdoor spaces. It’s appropriate for use in basements as well as the main living area. Nalboor Tiles is a supplier that provides great wholesale pricing. We take pride in offering discounted prices. We have excellent cost-control measures, and we pass the savings on to our customers. You’ll receive high-quality stones that are manufactured to exact specifications. When you’re in the market for white marble, choose a company that cares about customer service and satisfaction. We pay close attention to detail with every order to ensure that it’s filled properly, and we’ll work to ship your marble out quickly. We have contracts with nationwide shipping companies so that we can provide you with reliable service from the moment you place an order until your merchandise is received. We package everything with great care to prevent damage ensuring that your tiles will be ready to go when you are. Nalboor works with customers from across the nation, and you’ll appreciate our highly competitive rates. When you’re ready to get started on your next project, choose high-quality tiles that are perfect for all types of applications. Call Nalboor Tiles today at 305-501-4548 or visit our showroom online to view our different products. We can help you create the perfect look for your home or project, so place your order today. If you thought that marble was out of reach for your budget, then take another look at the products and prices available through Nalboor. We’ll help you create the home of your dreams and save money in the process.